McCarthy Introduces Bill To Fund Trump's Border Wall - Joe.My.God. 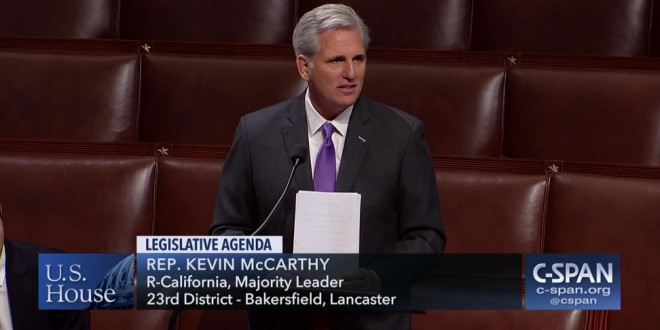 The California Republican introduced the bill on Friday after visiting the El Paso, Texas, sector of the southern border on Thursday. The majority leader said he was “awed by the magnitude of the border and the bravery of the officers who patrol it.” Specifically, the legislation text includes $16.6 billion for wall construction and $6.8 billion for infrastructure and technology improvements for the Border Patrol. The bill would never pass the Senate and McCarthy knows that. But he really wants to be Speaker. Both chambers are now in recess until after the midterms.